The John A. Hartford Foundation provides leadership support and partnership to the Health and Aging Policy Fellows Program. The West Health Policy Center works to lower healthcare costs and enable seniors to successfully age in place with access to high-quality, affordable health and support services that preserve and protect their dignity, quality of life and independence. 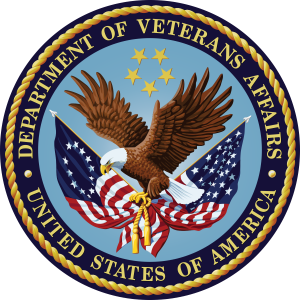 The Health and Aging Policy Fellows Program is pleased to have a funded partnership with the Department of Veterans Affairs (VA) to support one or more VA fellows beginning 2013-14. The “VA track” is a non-residential fellowship track that allows Fellows to remain based at their local VA institution while working on policy projects that may involve brief placement(s) throughout the year at relevant sites. VA Fellows must be nominated by the VA Office of Academic Affiliations. The final selection is made by the Health and Aging Policy Fellows Program based on the applicant’s commitment to health and aging issues, leadership potential, and interest in impacting policy. A paid VA appointment is required prior to starting The Health and Aging Policy Fellows Program as a VA Fellow, but it is not required at the time of application. Part-time VA appointments are acceptable to meet eligibility criteria. Applicants may be VA staff or trainees (e.g. Advanced Fellows). VA trainees/employees who are interested in applying to The Health and Aging Policy Fellows Program should contact Deborah Ludke, MHA at 562.826.5492, or [email protected] to review eligibility and initiate the nomination process. The Health and Aging Policy Fellows Program is delighted to partner with the APSA Congressional Fellowship Program, a highly selective non-partisan program in the nation’s Capitol. Founded in 1953, the APSA Congressional Fellowship Program is the nation’s oldest and most prestigious congressional fellowship. More than fifty years later, the program remains devoted to its original objective of expanding knowledge and awareness of Congress throughout the United States and worldwide. Health and Aging Policy Fellows (both residential and non-residential) participate in APSA Congressional Fellowship Program activities (see CORE Program and Components). Residential fellows are assisted by APSA Congressional Fellowship Program staff, in cooperation with the Health and Aging Policy Fellows National Program Office, with finding placements. Fellows secure their own jobs as legislative assistants in Congress by contacting member offices directly. This process takes place during the APSA orientation in November. We have a strong partnership with GSA whose staff has been providing assistance with marketing and developing the Aging Policy Orientation program as well as weekend workshops (see Core Program Components). In addition, GSA has provided forums to showcase our fellows and provided committed, meaningful mentoring for our fellows. AARP has been among our long-standing partners assisting individual fellows in establishing linkages as well as developing mechanisms for potential placement of future fellows. In addition, AARP provided in-kind support through assistance with marketing and developing the Aging Policy Orientation program and weekend workshops, as well as providing office space and committed, meaningful mentoring for our fellows. AGS has been a strong and long-standing partner providing assistance with marketing and placements for future fellows. In addition, AGS provided forums to showcase our fellows and provided committed, meaningful mentoring for our fellows. The SCAN Foundation has provided financial support for a State Health Policy Institute meeting for Health and Aging Policy Fellows and continues to be an important partner for the program.